Every mother wants to teach their children wise, wonderful and winning things. But, because we’re human, we will find there are things we desperately want our children to take hold of that we simply cannot teach them ourselves. Why? Because we aren’t perfect and we don’t know everything. I want my sons to be handy and, while I can figure things out, I am not naturally handy. I want my daughter to be able to play a musical instrument well. I play the piano but probably not well enough to teach her properly. I want to teach them hospitality but I’m still learning the art myself. My husband wants our children to understand car engines, but he was never taught so doesn’t know where to start. First, let’s admit we don’t know everything. Second, let’s admit we want our children to know more than we know. Third, let’s think of some ways we can do just that. Categories: parenting, raising rescuers, spiritual matters | Tags: motherhood, parenting, raising rescuers, support | Permalink. Most people probably don’t have to go at it alone. Good for those people, be grateful. Others, single moms, those without close family or friends or those who are geographically distant (me) from family know how hard it is to raise children day in day out. With no one around you feel free to bother night and day like, say, your own mom, you carry the weight of it all on your own shoulders. When I want to go out in the evening without having to pay for a babysitter. Or even find a sitter for that matter. When a child, two children, me, my husband or any combination of the above are sick. When the house is a total disaster and I need an hour uninterrupted to sort it out. When I see grandparents with their grandkids having a great time and I feel as though I’m depriving my extended family and my children of that close relationship. On public holidays when other people are with family and we don’t have ours to cook for. 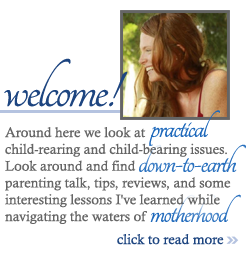 Categories: expat soapbox, parenting | Tags: parenting, support | Permalink.